FUE is a harvesting technique where the individual grafts are punched or ‘drilled’ out from a shaved area of the donor scalp. Although scars are still produced, they are usually very subtle dots scattered over a large area making it possible to conceal even with a cropped hair cut. It is ideal where the patient needs or favours a shorter hairstyle, such as a No.1 or No.2 cut or any hair charactertistics that make the scalp easily visible – but we would recommend a personal consultation to ensure that it is the right treatment for you. FUE hair transplants are performed under local anaesthetic and donor and recipient sites are totally frozen and de-sensitised. 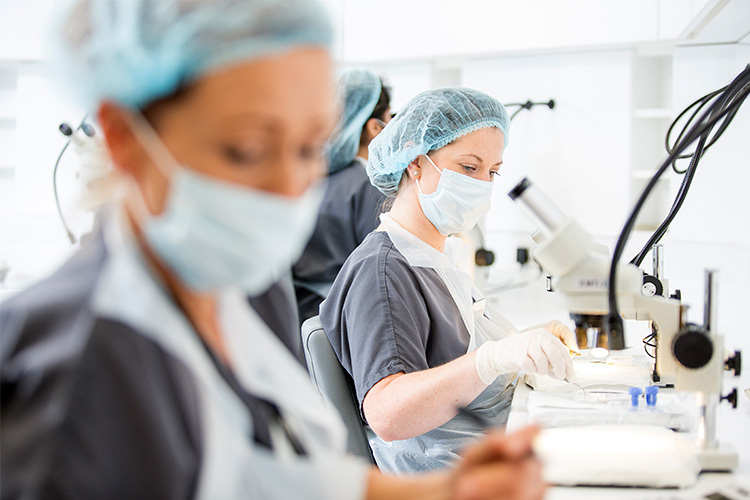 You will experience a discomfort when the anaesthetic is initially applied. During the 2nd half of procedure, you may choose to watch TV or a DVD, listen to the radio or music, read a book, or you may want to take a nap. We’ll make sure you’re as comfortable as possible. Please keep in mind that you will be lying face down during the donor harvesting part of your FUE transplant. Some patients experience some discomfort one to three days after the operation, but that is easily controlled with supplied medication. The whole point of FUE is to avoid a linear scar in the donor area if this is deemed to be an issue. 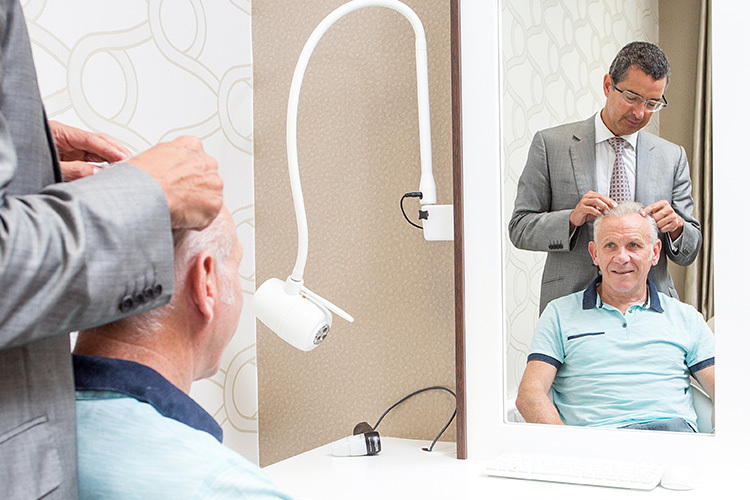 FUE Hair Transplants do leave scars but these are tiny dot-like marks scattered throughout the back and sides and will only be detected by thorough expert medical examination. When all is healed, FUE is more likely to enable you to have a no. 1 or even a shaved look, but due to healing variation we obviously cannot guarantee that. It is more expensive than Strip FUT as it is more time-consuming for the surgeon. Generally speaking though, the naturalness of growing your own hair back makes all types of hair transplants cost-effective. Remember, there are no other expenses involved afterwards – there are no lotions or chemicals to buy, no wigs or hairpieces to be continually maintained serviced and replaced. So, in the long run, hair transplants are not only the most natural solution, but they can also be the cheapest. We can provide a rough estimate of cost if we are supplied with good photos; however, a detailed price can only be worked out after examining your scalp and assessing your hair loss at consultation with one of the doctors.